People are at the heart of everything we do in our Digital by Design programme. We may be delivering new technology but our end goal is to use digital to improve the customer experience. While the technology plays a key role, it is the people who matter most: the people who develop the services in our digital teams, those who deliver them at the front line and the residents who use them to support their lives. These are the principles that we at Stockport have been putting into practice for a number of years. We design with our users in mind and we test and evolve our digital tools until our customers tell us they are right. To do this we learned new agile working practices that encourage innovation, adaptability and openness. This cultural shift is spreading across our organisation and beyond as we welcome collaboration with other public bodies. We already open-source our new digital capabilities so that they can be reused by other organisations and we frequently share our learning experiences. In September we will open our doors with the launch of our Open Days, which will offer regular opportunities for others to see what we have done and how we are doing it. These will focus not only on our digital tools but also on the cultural change that underpins all that we do through our digital programme. This is the approach that is being advocated in the new Local Digital Declaration which sets out the guiding principles that will help support local authorities to deliver digital services that meet the needs of citizens. The key principles include designing with users in mind and creating an open learning culture that encourages us all to share learning. The Declaration was the result of collaboration between the Ministry of Housing, Communities and Local Government (MHCLG), the Government Digital Service (GDS) and over 30 public bodies and local authorities, including Stockport Council. We are proud to count ourselves in the vanguard of this movement but there is much more we can all do. Digital transformation is a complex, expensive and time consuming activity and local authorities are all faced with reducing budgets. 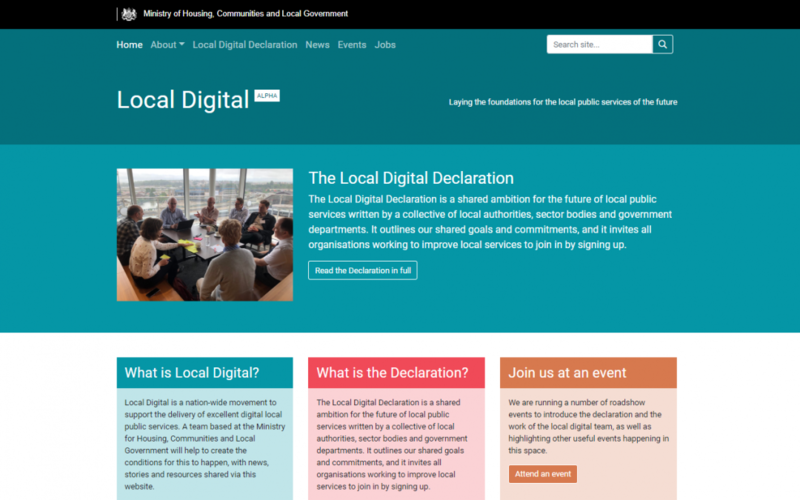 If we each try and do it alone we may not have sufficient resources, but this Digital Declaration should help us to work closer together in the future and pool our local authority collective ability and resources to better effect for all. We hope to see you soon at one of our Open Days. Follow this blog for dates and booking details or get in touch. Councillor Elise Wilson is the Cabinet Member for Reform and Governance at Stockport Council.